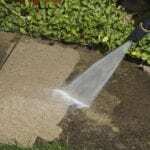 Your Winston-Salem upholstery will be well taken care of by our upholstery cleaner. Take a mental walk around your living room. What do you see? What kind of style is your home? Do you have carpet or hardwoods? Warm and homey or cool and sophisticated? 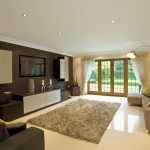 No matter what you have in your home or the style that you have chosen to decorate it with, there is one practically universal element in every home: furniture. No matter what size, shape or style of your furniture, it will become a magnet for dust, dirt, and debris over time. That’s why our team at Steam Source is here to help you keep it looking great and smelling fresh with our upholstery cleaner services. At Steam Source, we take pride in our upholstery cleaning methods. 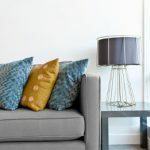 Our upholstery cleaning is not only highly effective at removing dust, dust mites, smells, and stains from your upholstered furniture, but it’s also safe for your children and pets. We don’t use any harmful or toxic chemicals, but rather use steam and top-notch equipment that will keep all your upholstery clean! We carefully train our employees on how to clean different types of upholstery, so you can feel confident that when you ask for upholstery cleaning services, you’ll get carefully cleaned and cared-for fabrics, every time. If you would like to learn more about our upholstery cleaner or any of our other services for your Winston-Salem, North Carolina home, we would love to hear from you! Please give us a call today. 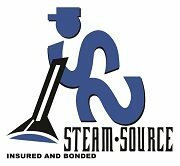 At Steam Source, our upholstery cleaners proudly serve Winston-Salem, Greensboro, Kernersville, Clemmons, Advance, High Point, Mocksville, Pfafftown, Jamestown, Oak Ridge, Summerfield, Lexington, King, Walkertown, Colfax, Lewisville, Welcome, Bermuda Run, Thomasville, Yadkinville, and Walnut Cove, North Carolina.